When I first had a good look at Tomodachi, located between Sizzler and the random Chinese restaurant on the corner of Middle on Hesperian, I could have sworn it was not there. I’ve lived in Hayward for many years and have never seen Tomodachi. My sister, in response to the suggestion of having dinner there, insisted that we were thinking of the Sizzler, just as I did. I’m not sure why it blends into that long-lived Toys R Us shopping center, but it sort of just gets lost in the mess to me. Which is why I need to post about it. This place should not be overlooked. It should be bursting with business on every night. In my opinion, Hayward has a deficiency in the way of good Japanese restaurants. I do not claim to have patronized them all (if you know a good one, tell me! ), but the ones I have attended were less than impressive (save Naked Fish, which was decent). Tomodachi has taken the lead by a mile so far…. 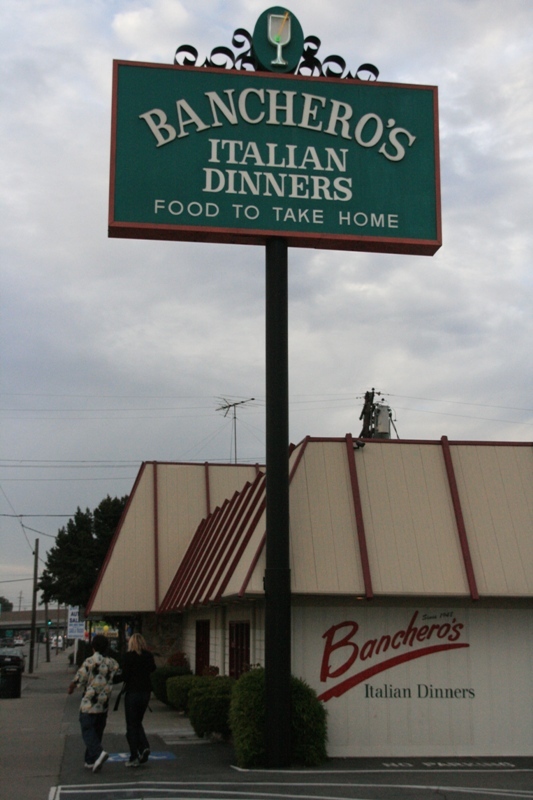 Update: Banchero’s closed in 2012. You know how every town has that restaurant that’s been around since the beginning of time? Banchero’s is that restaurant in Hayward (one of them, at least). The painted exterior boasts that this place was established in 1948, and I will not contest them on that. I’m also fairly certain that the façade, the tables and chairs, along with every fixture and most of the gracious and wise employees are from right around then as well. And, let’s face it, they’re all hanging in there…. 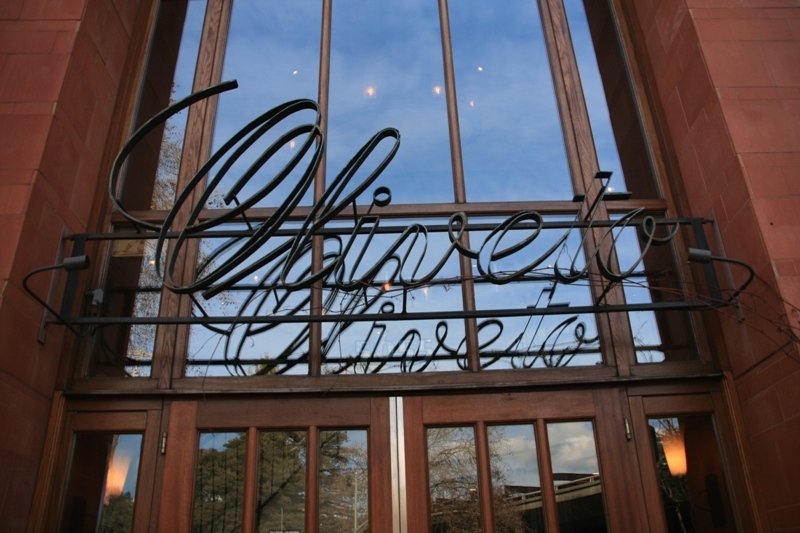 Oliveto is a fancy cafe and restaurant in Oakland, just off Highway 24, that has a bit of a reputation. It’s a bit fancier than I normally shell out for, but my friends had heard good things so we went to check it out. The facility is on a corner lot on College Avenue just near a Bart station and it’s signage does not lend itself well to being seen in the daytime. We arrived in three separate cars and no one saw it on the first try. It has a larger (though I didn’t see the extent) restaurant on the 2nd floor and a very small cafe on the ground floor with an even smaller amount of outdoor seating. We had wanted to try the restaurant proper but found that it was not open for lunch on Sundays. So we settled for the cafe…. Update: Pyzano’s is now closed. 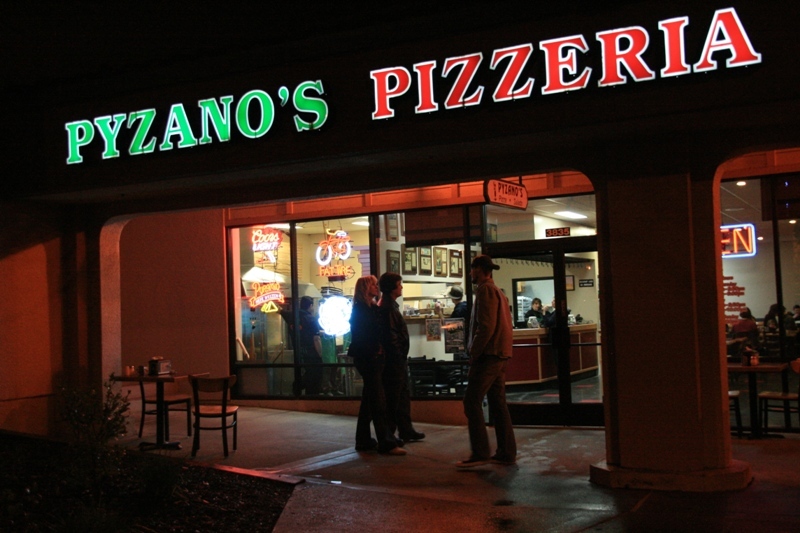 Pyzano’s has somewhat of a cult following in the Hayward/Castro Valley area, and it always has. I’m not sure when this place opened up, but it’s not a chain and it’s owned by 9 Time World Pizza Champion Tony Gemignani, who has tossed pizzas with the likes of Jay Leno, Oprah, Emeril, and all over the Food Network. He’s apparently quite good. But with all this hype came a bit of a letdown for me. I haven’t been to Pyzano’s in years and forgot that the atmosphere of the place is just your run of the mill pizza joint. But the prices aren’t – you’re paying for gourmet here for sure. I thought (read: was hoping) that with all the fancy pizza twirling, there’d be something more than order-at-the-counter, standard-leather-booths-and-rickety-tables, serve-yourself-soda-machine, and grocery-store-floor-tiling. Seriously, I thought they might have put some effort into posh, above-and-beyond decor, and maybe even table service. Apparently that’s not their style – moving on…. This seemingly tiny hole-in-the-wall restaurant is just near the corner of Mission and Industrial in Hayward, not 200 feet from the Burger King that’s been on the north-west side of that corner for a very long time. It used to be a plethora of other restaurants that apparently haven’t made it to 2010 for one reason or another. I surmise that one reason is likely location – it’s just in a bad place. There aren’t hardly any businesses around (especially since the cherished Holiday Bowl across the street closed its doors a few years ago), and it’s not really a “take a walk around the block” sort of residential area. Hence there are few folks in that area looking for food that doesn’t have a drive thru…. 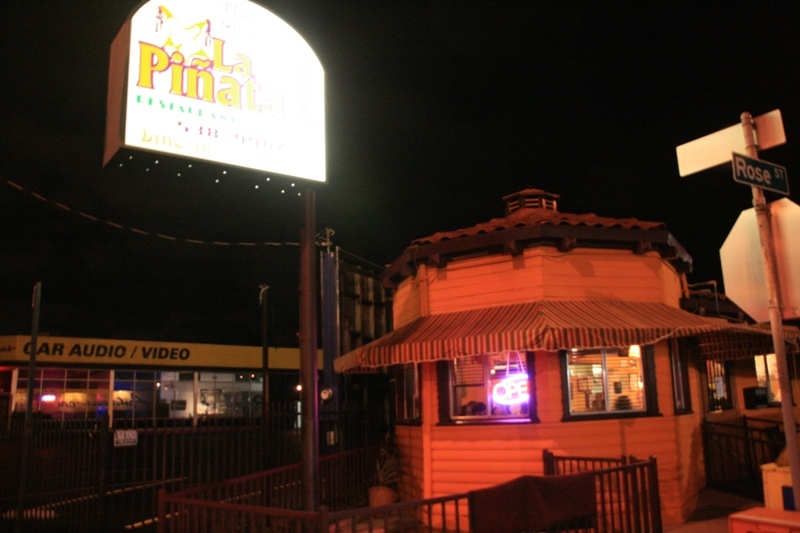 La Piñata opened its first restaurant in Hayward in 1983 and has since expanded to five other Bay Area locations. Apparently they are doing quite well. 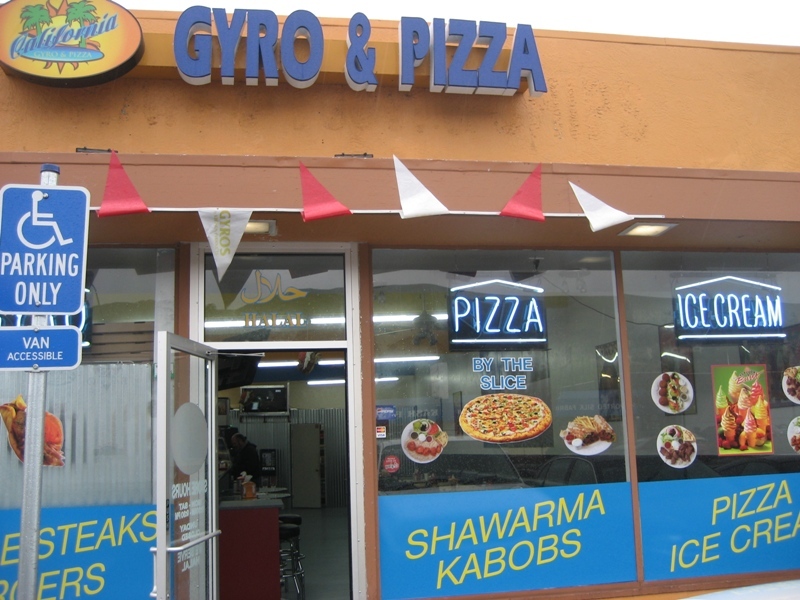 We patronized the original Hayward location the other day, and were a bit surprised by what we found. This restaurant is tiny. Like, the size of my mom’s living room tiny. I counted 14 tables in the whole joint, and that’s with very little walking room in between. When we arrived it was packed. Note to readers, 6.30pm on a Friday is actually quite busy for La Piñata. Tons of people already seemed to have gotten the message and were traipsing in and out procuring take-away. Good call. But we were committed to a dine-in dinner, so we stood in wait for a table…. 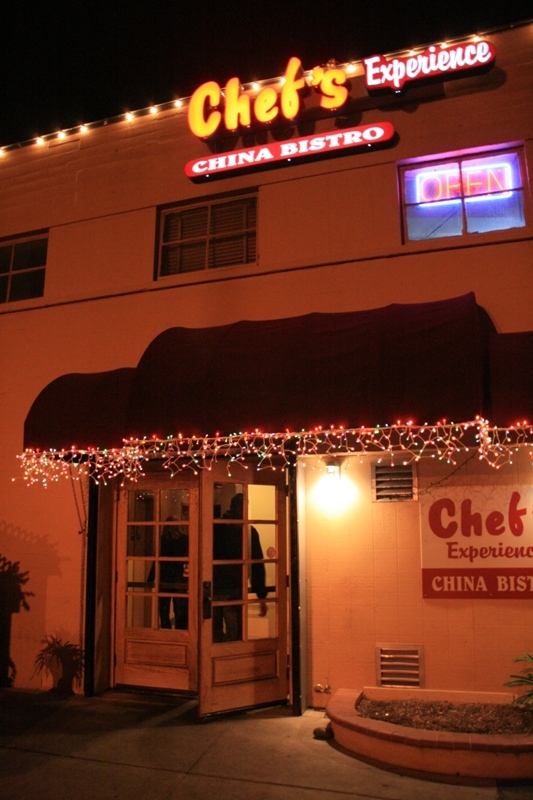 Chef’s Experience China Bistro is one of Hayward’s newest chic restaurants stationed bravely on Foothill Boulevard near A Street. They’ve cleverly revamped this rather large space to accommodate a stunningly modern design, with elegant and tasteful decor that is a complete surprise when entering from the dingy parking lot behind the run-down shopping center where CE is located. Let’s face it, downtown Hayward needs a face lift. It’s gotten better over the past few decades – B Street can actually gather a crowd (that isn’t necessarily gang related) on a Saturday night – but overall, the decrepit storefronts that line Foothill, Main, and Mission and many of the cross streets aren’t terribly desirable destinations for most folks, especially the younger crowd. And while many businesses have tried to change this, only few have succeeded like Chef’s Experience has…. Update: Mimi’s is now closed. This is just a teeny quick note about Mimi’s because I thought it was such a good deal that I should share it with the internet. 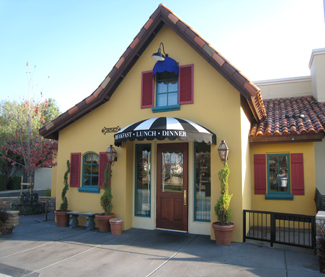 Mimi’s is a total chain restaurant, no buts about it. There’s just as much crap pasted to the walls and artificial pep in the hostess’ smile as at Applebee’s, Marie Calendar’s or TGI Friday’s. But at Mimi’s Cafe they offer a free breakfast deal if you join their online club. I know, I hate online clubs too. I don’t want junk mail or a thousand emails a day, and I don’t want to be sold to a bunch of other spam lists. I can’t attest to the last of the three, but I’ve only gotten 2 emails from them in the past few weeks, and I didn’t even give them my mailing address…. 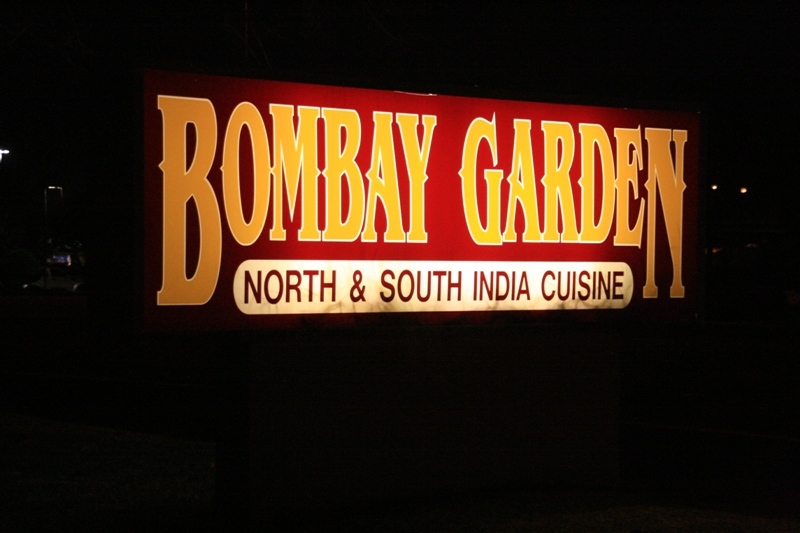 Bombay Garden is on Mowry Avenue in Newark (and I thought it was Fremont?! ), near New Park Mall just west of 880, and surely has one of the most impressive Indian buffets known to the Bay Area. This was my second visit to The Garden and I dare say that it will not be my last. There are apparently four locations of Bombay Garden (Newark, San Mateo, Santa Clara, San Rafael), though I am only qualified to comment on the Newark location. But I would extend my recommendation to any of the other three locations; if they’re anywhere near as good as Newark, they deserve a visit. The Newark location is a huge country-home style place, that looks like it might house a Mimi’s-type All-American restaurant of a bygone era. And bygone is fine with me, Bombay Garden can take over any establishment they want in my opinion. Think they might want to open one in my house? Seating area and statue inside Bombay Garden. 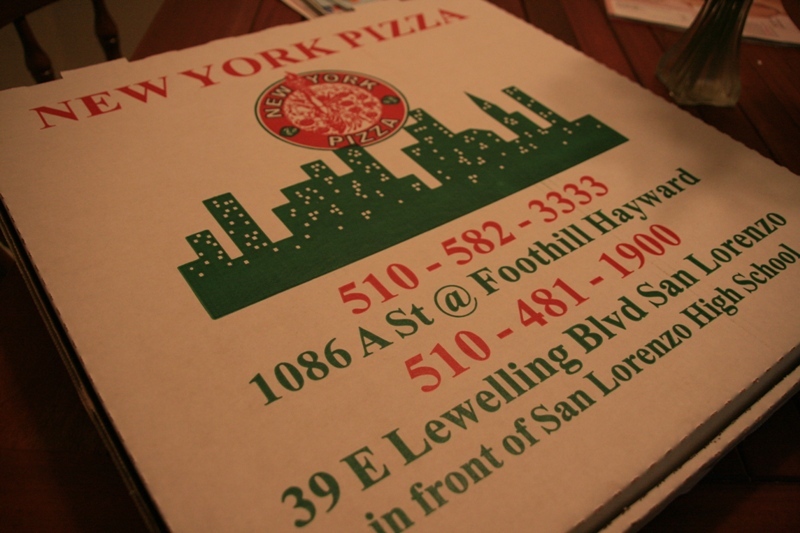 The other night, the boyfriend and I decided to take the advice of an informative and wise mass-mailed flier and try a little known Hayward pizza place called New York Pizza. They offer reasonably priced pizza and free delivery and so we figured, what the heck. The flier indicated a phone number for the Hayward location. Upon calling, they directed us to a different phone number, apparently also in Hayward. Since this was all over the phone, I can only assume, with the help of Google Maps, that the first call was made to the Tennyson branch, and the second call was to the store at A Street and Foothill….